Modern research confirms what many traditional healers have known for centuries – that mushrooms contain some of the most potent, yet safest medicinal ingredients found in nature. What’s more, most of these ingredients cause very few side effects – if at all – even at very high doses. It is first important to differentiate between the anti-cancer medicinal mushrooms and the countless other common varieties. A quick visit to the local supermarket will reveal culinary mushrooms such as oyster, portabella, and others. Although these have their health benefits, the focus of this article will be on four of the more specialized and not typically commercially grown reishi, maitake, agaricus blazei murill, and turkey tail mushrooms. It’s clear now that mushrooms are legitimate treatments in their own right for many health conditions, including diabetes, Alzheimer’s disease, and cancer. There are a few primary mechanisms that most of these functional, anti-cancer mushrooms share when assisting the body during cancer stages or in simple everyday prevention. First is their ability to enhance the body’s first line of defense against cancer − the immune system. When this system is weak or has failed, the mechanism for cancer has a better opportunity to manifest. Next, some anti-cancer mushrooms exhibit direct antiviral and tumor shrinking abilities. As mentioned above, side effects are rare and mild but it is still important to talk with your healthcare provider before use. It has been demonstrated that, in some cases, formulas containing multiple strains of different mushroom extracts often exhibit synergistic, complementary, and amplified effects. This is in stark contrast to many of the negative cumulative effects of chemotherapy drugs and radiation therapy methods commonly prescribed in hospitals today. As with research for many alternative treatments, the United States has been late to the party when it comes to medical research on the anti-cancer and overall health benefits of mushrooms. Used for over 2000 years by sages and shamans and known in China as the “spirit plant” – also known as Mannentake, Ling Zhi or Ling Chi – Reishi relaxes and fortifies both mind and body. This fungus holds a very important place in the traditional medical systems of China, Japan, and Korea. Ganoderma lucidum, or better known by its common name, reishi, it is one of the most well-known medicinal mushroom in Asian healing arts. The mushroom’s bioactive molecules and polysaccharides have been shown to better activate natural killer (NK) cells reducing cancer metastasis. NK cells are lymphocytes that perform immunosurveillance within the body, constantly on the lookout for “immuno-alerters” signaling tumor presence. Reishi also has been shown to assist in slowing the growth (angiogenesis) of tumors as well as triggering programmed cell death in malignant cells. Currently, there is data to support the potential use of reishi as, at the very least, an adjunct therapy for colorectal cancer, lung cancer, prostate cancer, and breast cancer. Counter free radicals and fight inflammation. Reishi has potent antioxidant and anti-inflammatory properties. In fact, Reishi compares very favorably to the synthetic anti-inflammatory drug prednisone, without the side effects. Also, Reishi may be able to counter our susceptibility to many aging-associated diseases, thanks to its powerful ability to fight free radicals and reduce cellular damage associated with oxidative stress. Enhance immune system activity. Reishi enhances multiple aspects of the immune system in advanced stage cancer patients and lung cancer patients. Fight cancer. Reishi ingredients are toxic to multiple cancer cell lines in culture – including leukemia, breast, ovarian, cervical, and lung cancer cells, among others. Evidence suggests Ganoderic acid is a potential anti-metastatic agent. Metastasis is the migration of cancer cells from their place of origin to other areas of the body. Maitake, like the reishi mushroom, also contains a broad-spectrum array of bioactive molecules. In studies, maitake has shown similar results as the reishi mushroom in stimulating NK cell activity in cancer patients. The mushroom also shows promise in blocking tumor growth and activating malignant cell death through its specific immune-enhancing methods. 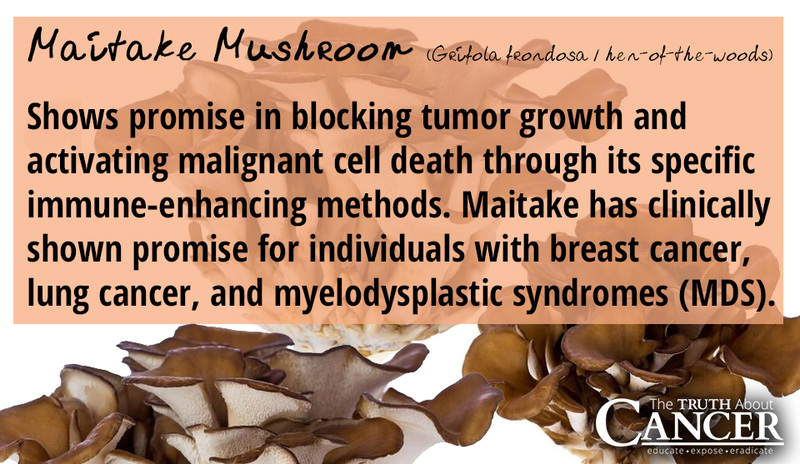 Maitake has clinically shown promise for individuals with breast cancer, lung cancer, and myelodysplastic syndromes (MDS). This mushroom made perhaps the biggest splash when a study jointly conducted by the Medical Department of Tokyo University, The National Cancer Center Laboratory, and Tokyo College of Pharmacy showed a complete recovery in 90% of guinea pigs injected with cancer cells (180 sarcoma). The pattern of other mushrooms was seen again as agaricus blazei murill activated macrophage and interferon immune activity leading to tumor shrinkage, a halt in metastasis, and reduction of future cancer occurrences. As an adjunct, agaricus blazei murill was shown to lessen the side effects in individuals undergoing chemotherapy for endometrial, cervical, and ovarian cancers. In 1976, a Japanese company patented certain extracts of this mushroom under the name PSK and later PSP. They have since become recognized cancer drugs in Japan. The anti-viral properties of the turkey tail mushroom offer a unique opportunity to target oncoviruses (tumor virus) such as hepatitis C leading to liver cancers, and others. For this mushroom, again studies are showing increased NK activity towards tumor detection and eradication. It is important to note that drug companies cannot patent mushrooms. Due to this fact, funds typically won’t be allocated to study them unless they come from private institutions or government grants. However, this should be a positive as many studies only seek to isolate one part of a plant or mushroom to patent as a drug. Cordyceps (Cordyceps sinensis) is also known as the Caterpillar Fungus and Dong Ching Xia Cao (Summer grass, winter worm), Cordyceps has long been a part of traditional Chinese and Tibetan medicine. An extremely rare combination of a mummified caterpillar and a fungus, it is found at very high altitudes in the Himalayas, on the Tibetan plateau, and other high-altitude locations around the world. Cordyceps – both the mummified caterpillar and the fungus – contain many potent bioactive compounds, including cordyceptin, cordycepic acid, polysaccharides, and sterols. Manage blood sugar levels in a healthy range. Emerging evidence indicates that the Cordyceps is likely to prove to useful in the management of diabetes. Improve transplant success rates. Cordyceps protects the heart and lowered the rate of cardiac rejection in an animal model of heart transplantation. When given after kidney transplants, Cordyceps also reduced the rejection rate, improved kidney and liver function, boosted red blood cell production, and lowered infection rates in patients. Strengthen the immune system. Cordyceps boosted production and activity of various components of the immune system in animal experiments. Enhance antioxidant ability. Cordyceps raised levels and activity of innate enzymatic antioxidant systems in animal models. Boost libido. Cordyceps boosts libido and sexual activity, along with restoring impaired reproductive function in animals as well as humans. Improve exercise performance. Cordyceps made international headlines by helping Chinese runners break two world records by huge margins at the Asian Games in 1993. Cordyceps likely improves stamina because it stimulates production of ATP, one of the main sources of energy in our body’s cells. Cordyceps has also been shown to dilate the aorta – the main artery in the body that supplies oxygenated blood to the entire circulatory system – by 40%, greatly increasing blood flow and enhancing endurance. Fight cancer. In laboratory experiments, Cordyceps was selectively toxic for cancer cells, without affecting normal, healthy cells. Bioactive ingredients in Cordyceps including cordyceptin attack and destroy mouth, bladder, prostate, breast, liver, lung, cervical, leukemia, and colorectal cancers as well as lymphoma, melanoma, and neuroblastoma in culture. 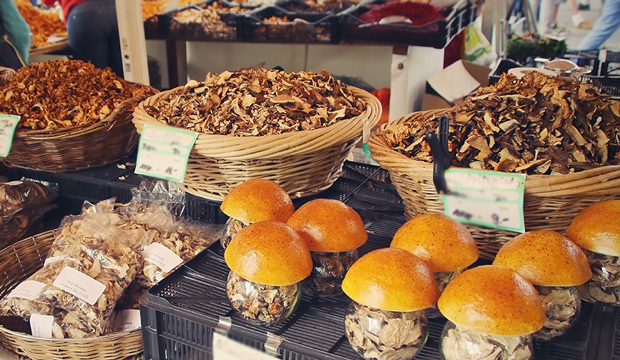 Mushrooms and mushroom supplements come in many different forms for health and wellness. These functional foods can be raw, powdered, liquid, and infused into other products. Each has their own sets of advantages and disadvantages. Raw: Unlike consuming fruits and vegetables, raw mushrooms are not a superior form to consume if you’re looking to reap the health benefits from medicinal mushrooms discussed above. The polysaccharides, antioxidants, and metabolites can be better activated and concentrated using methods described below under the “liquid” category. It is for this reason that if you are experiencing a health crisis or simply looking to improve the functions of your mind and body, raw should not be your first choice. Powdered: Like most other nutritional supplements, mushrooms also come in the powdered form as gel caps or loose. While the gel caps are preferred for daily convenience, the powder can be added to smoothies, juices, or sprinkled on food after it is cooked. Liquid: If you are looking for rapid absorption into the digestive system, a liquid mushroom supplement form is a great choice. In addition, the liquid option offers perhaps the greatest versatility due to the fact that it can be added to coffee, tea, smoothies, soups, salad dressing, and just about anything else you can imagine. Regarding extraction methods, there are three methods used each focusing on distinct end results. Cold water extraction is used to extract extracellular metabolites. Hot water extraction is used to the extract the immune-stimulating polysaccharides. Ethanol/alcohol extraction is used to isolate antioxidants and smaller compounds that are more specific in their bio-activity. Infused: This isn’t so much a category as it is a mere spin off of the liquid and powdered methods. Due to the popularity of mushrooms as a versatile and functional food, manufacturers are going the “value added” route by offering mushroom-infused versions of already existing products. For example, there has been a recent surge of popularity in the mushroom infused coffee bean market. A breakthrough method now allows the infusion of a mushroom strain directly into the whole coffee bean. Like most food and supplement production, it is now no longer a question that things must be organic. In addition, the “non-GMO” designation is also strongly considered for numerous reasons. Beyond that, mushrooms are good detoxifiers and accumulators of certain environmental particles and elements. Therefore, it is highly recommended to seek out growers and producers that follow strict methods and practices to ensure product purity. Due to the makeup and properties of some mushrooms, there are dangers that consumers should be aware of. As I’ve covered in my docu-series, the concept of clean foods also applies to mushrooms due to our current environment. Of particular concern are heavy metals and radiation. Food and water contamination from heavy metals is a major problem. The soil and air has been affected by industry and pollution, and that directly impacts our food, water and physical bodies. Certain mushrooms hyper-accumulate heavy metals which make them great environmental detoxifiers. However, for internal use, these same mushrooms should be laboratory cultivated to avoid toxins they’ve taken in. There is no ignoring that Fukushima was perhaps the worst nuclear disaster in history. Certain mushrooms are known to hyper-accumulate radioactive particles. As with mushrooms that gather heavy metals from the environment, this is great news for cleanup purposes. For this same reason it is vital to choose mushroom supplements from cultures grown in controlled conditions. A final note on safety: there are many species of mushrooms that are highly poisonous to humans. It is strongly advised that individuals do not wild gather mushrooms for consumption unless you have done extensive research. Regardless, for the reasons detailed in this article, it is still better if you leave your mushroom supplementation to professional, knowledgeable, and qualified producers who are using strict methods of extraction and preparation. Did you know cancer has natural predators? 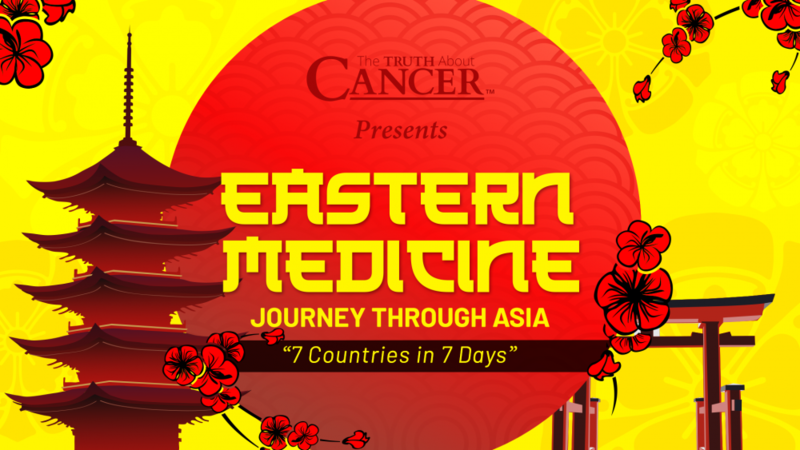 Go here to discover how experts are eliminating cancer! Some anti-cancer mushrooms exhibit direct antiviral and tumor shrinking abilities. There is data to support the potential use of reishi as an adjunct therapy for colorectal cancer, lung cancer, prostate cancer, and breast cancer. Maitake mushroom has clinically shown promise for individuals with breast cancer, lung cancer, and myelodysplastic syndromes (MDS). Agaricus blazei murill mushroom made a big splash when a study showed a complete recovery in 90% of guinea pigs injected with cancer cells. 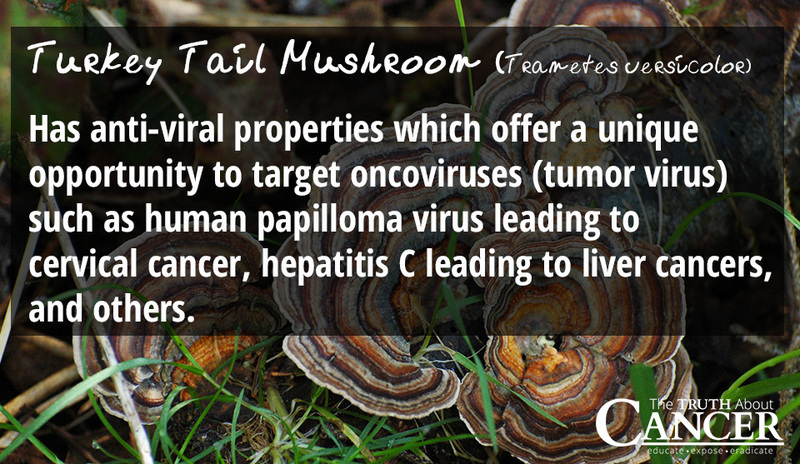 The anti-viral properties of the turkey tail mushroom target oncoviruses. Mushrooms can be consumed raw, powdered, liquid, and infused into other products. Paul Stamets, “MycoMedicinals: An Informational Treatise on Mushrooms”, (MycoMedia Productions), 2002. Paul Stamets, “MycoMedicinals: An Informational Treatise on Mushrooms”, (MycoMedia Productions), 2002), 24-29. Studies on the immuno-modulating and anti-tumor activities of Ganoderma lucidum (Reishi) polysaccharides. Protection against lung cancer patient plasma-induced lymphocyte suppression by Ganoderma lucidum polysaccharides. New triterpene aldehydes, lucialdehydes A-C, from Ganoderma lucidum and their cytotoxicity against murine and human tumor cells. Paul Stamets, “MycoMedicinals: An Informational Treatise on Mushrooms”, (MycoMedia Productions), 2002), 57-62. CordyMax Cs-4 improves glucose metabolism and increases insulin sensitivity in normal rats. [Clinical study on application of bailing capsule after renal transplantation]. Cordyceps as an Herbal Drug. That treat cancer and prevent it? Mushroom will help me to get rid of it ? For Ulcer You can drink cabbage juice everyday. You dos,t need healing mushrooms . Dr. Axe has a lot! Nina…for the ulcer Lalina Masarz is right….formented cabbage juice and aloe Vera and I would also for the pain use Marshmallow Root it will soothe the intestines. I had a bad ulcer in my stomach…and I cured it in two weeks with carrot juice and a thick gel of pure Aloe Vera….never had a problem since and that was more than 40 years ago. I ate no other foods…during that time. Does anyone know where you can get these and if any have been effective in helping fight gioblastoma! Me too. Which b rand or blend for brain tumor? Dr. AXes website has them all! This has been an incredible journey watching the videos on Depression, Anxiety and Dementia. My son who has been suffering from Depression for about 25 years has received no help. I hope I can finally get help not only for him but also for my dementia. Hi, I have a bowel condition plus breast cancer. The ordinary mushrooms give me violent diarrhea. Is this going to be the same for these medicinal mushrooms? I have a large hard growth (between 5-10 cm) on my left buttocks cheek. The doctor is sending me for a ct scan to check for the possibility of a soft tissue sarcoma. Are there any mushrooms or combinations of mushrooms that would kill the cancerous cells and shrink the growth? Mia I had the same thing for years. I knew it was from a boil that did no burst but fattened out over time. Finally had surgery to remove it, doctors did not know what it was but I did. Could be a simple as surgery to remove it. I am 48 years old and was diagnosed with breast cancer a year ago and don’t even think of going for chemo, like the doctors want me to do. Which mushroom is the best for breast cancer? My 7 year old nephew has luekemia he is getting weaker and wraker on chemo. What will help him get better and cancer free? Your article is very interesting but there is no information telling me where I can get this product or how much it costs. 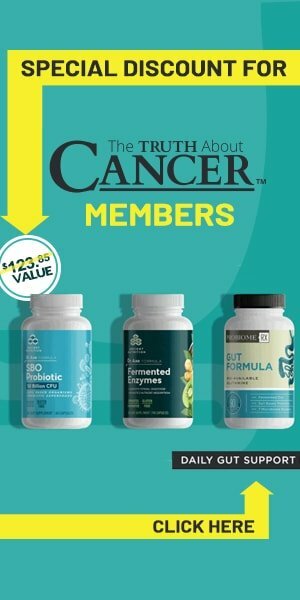 Will reading about the ingredients help me get rid of the cancer? Yours is the third article I’ve seen that talks a lot of stuff but does not give any directions on how to get the product. Is this some kind of propaganda you people came up with and are getting your jolly’s off by raising the useless hope of cancer patient’s. If so thanks for nothing! John, don’t despair and keep researching. This article from the “www.thetruthaboutcancer.com” highlights 4 different mushrooms used effectively for holistic anticancer treatment (https://thetruthaboutcancer.com/medicinal-mushrooms-cancer). A friend of mine, told me about “Host Defence, Turkey Tail mushrooms”. Host Defence is also promoting and selling other types of mushrooms that attack and stop many cancers, but Turkey Tail is believe to be one of the most effective. All mushrooms (especially the mycelium part) are able to be used for cancer. Please could you advise me on the right mushroom for my son who has angio epithelial soft tissue sarcoma which is very rare, it has METASTASIS to his brain and lungs he is at stage 4, but we are trying everything we possibly can, thankyou, ps he is 29 yrs old. Wishing your son all the best! My father has pancreatic cancer stage 3 and is on chemo therapy both IV and oral. He was found to have it in his lymph nodes and floating cells were headed to his liver in the bile after the whipple procedure. Currently, he is taking the Chaga mushroom 2 capsules. Wondering if we should use a different type to help fight this. I took an entire bud of raw, organic, garlic… completely peeled all of the cloves, crushed them, then I coated my stomach with a tall glass of raw, unsweetened almond milk, then I ate ALL of the garlic. I did this every day for a week. I almost threw up a couple of times because of the incredible strength of the garlic, but I cured my lungs and my blood, and probably everything else in my body that was affected. Prior to doing this self-treatment, I was incredibly lethargic, exhausted every day, even in the morning when I woke up… I was deeply depressed, I didn’t have thoughts of suicide, but I constantly thought about what the point of my being here was for. I definitely thought that there was no actual reason for my being here still, which I know fed my cancer and other low-vibrational ailments. But I also know that after some deep self-reflection, I knew that I wanted to continue to pursue things in my life that are important to me… so I decided to heal myself. My family and my amazing wife supported my strange, bizarre, and STINKY home remedies for a few weeks and I watched my body heal. I, personally… would NEVER go to ANY of the “doctors” who DOCTOR you, but don’t generally help you to HEAL yourself, because sadly, the so-called health”care?” system is and has been controlled by the Victorian Era Mindset of “We’re the doctors! We know what’s best!” and the greed and control of the American Medical Association and the American Dental Association and the University Medical System that purposefully brainwashes medical students to believe all sorts of useless, deadly, archaic, backward, unnatural, nasty, super-unhealthy, things that don’t have ANYTHING to do with healing human beings. I have been misdiagnosed TWICE by one of the “doctors” with whom I visited who was the partner-in-practice with [the] regular “doctor” that I used to see at that time. The only reason I knew that he misdiagnosed me, was because first of all, he is an incredibly arrogant, self-centered, self-serving, little man who made the hairs stand up on the back of my neck when I saw him, AND, I just had this warning bell going off in my heart chakra that was screaming at me to get as far away from him as I could. I returned home both times and resolved my “conditions” on my own once I had calmed myself down enough to just do some research. I finally figured out what was “wrong” with me and cured my “conditions” naturally. Just to let you know, this little man who poses as a “doctor” would tell me that he was #3 at the top of his graduating class in medical school. My answer to that is that ANYONE who is good at memorization can pass a test and get good grades. That does NOT necessarily mean that they are intrinsically a good person OR a good healer. 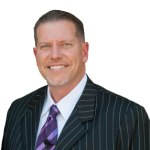 He has NONE of the traits necessary to be a GOOD healer… a good “doctor.” I have done my best to write reviews pointing out how dangerous I think he is on the medical review blogs in my area. Meanwhile, he has quite a few “good” reviews, but that only tells me that he has some of his patients under his spell. Some people treat doctors like they are gods. They are not. They are fallible human beings who can and do just as much damage to you as the diseases that can ravage your body. Most “doctors” don’t know ANYTHING about nutrition, which means that they know literally NOTHING about how to BE healthy! Thank you! To most doctors we are just a number! Take control of your own health people! please! Raw, organic GARLIC! Crushed, chewed in the mouth AFTER drinking a large glass of raw, unsweetened, organic almond milk. He should eat an entire bud of garlic. But make sure that he coats his stomach with the almond milk BEFORE eating the garlic. Otherwise, the garlic will just make him throw up and become very nauseated. I know from experience. He should start by doing this every other day to start. It IS going to make him smell bad and it may also make him feel sick to his stomach, but if he can keep from tossing his cookies in the first 30 minutes or so of taking the garlic, he will be fine. He can eat some scrambled eggs to settle his stomach about an hour or so after he eats the garlic… but NOT before! Only almond milk, THEN the garlic. Also, he needs to CHEW the garlic in order to stimulate his saliva glands because his body needs to release the very necessary enzymes and bacteria in his saliva to help break down the garlic in his digestive system so that it will move through his blood more easily and get into every nook, corner, and crevice in his body. And he needs to stop drinking alcohol completely. That’s a given. What about taking the powdered garlic capsules? Which of the carbohydrates or polysaccharides is PSK? I have a good friend that a couple of years ago found out that their adult son has a mild case of schizophrenia and I’m wondering if you know what can be done to help him other than giving him drugs that are dangerous and will probably kill him sooner or later. Dr. Abram Hoffer wrote a couple of books on treating schizophrenia with niacin. You can get them from Amazon. I have been in touch with a couple of people myself who tried it and it worked. You start with 3,000 mg of niacin in 3 divided doses per day. Thanks for this information! Going to pass it along! You don’t mention CHAGA mushrooms. Are they also useful to combat cancer? Unfortunately, we are unable to give any kind of medical advice for specific conditions. The best advice we can give you is to consult with one of the doctors we interviewed in the Global series.